This month’s newsletter includes holiday blends: a belly cream for digestion, a loose incense recipe, and a foam soap with cedar + cardamom. Can you believe it’s December? It seems like just yesterday I was sitting down and writing the newsletter for January 2017! The end of the year is a beautiful time to sit and reflect on everything that has happened over the past 12 months. It’s also a great time to come together with friends and family, letting your heart fill with warmth and appreciation for life...and letting your belly fill with good food! In this newsletter I’ll share some holiday recipes, including a belly cream to support digestion, a loose incense recipe that can fill your home with scent, and a foam soap using cedarwood and cardamom. These blends make great gifts! I've also included some of my favorite aromatherapy-related products in our mini gift guide. I hope that this month brings you much joy, happiness and fun. Enjoy December and have an amazing new year! See you in 2018! Yuzu essential oil comes to us from a Japanese citrus fruit that’s especially popular around the New Year. Yuzu is warm and lively, like Sweet Orange, and it supports easy digestion. 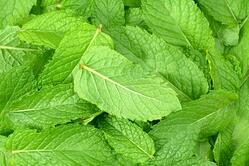 Fresh, bright Peppermint happens to be good at the same thing! These two make a great holiday pair. Rub into your belly and low back before and after a big, delicious meal. Then continue celebrating! We’re coming to the time of year when many people make recipes they might not make at any other time—the holidays! Some people make special casseroles, pies, or ciders and drinks that they save for this season. I like to make special Aromatherapy recipes! 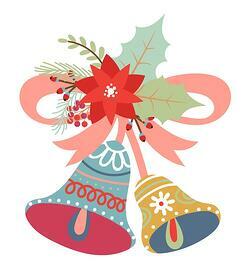 Our Aromatherapy World: Aromatherapy Holiday Gift Ideas! 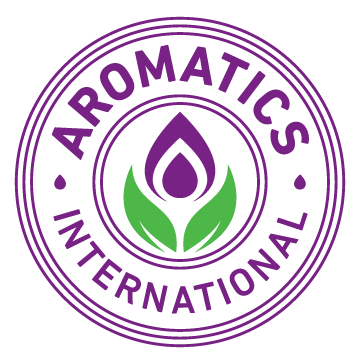 Aromatics International is now offering free shipping to customers in the United States and Canada! FREE First-Class International Shipping to Canada customers for packages up to 4 pounds for orders over $50.00. Free shipping is not available for wholesale customers, teachers or bulk purchasing. When you purchase essential oils and other natural aromatherapy products and accessories from Aromatics International, you are not only helping to support the Aromatics family and their incredible workshop team in Western Montana, but most importantly, you are helping to support their talented and passionate small-scale distillers and producers from over 60 different countries who are wildcrafting, cultivating, and producing in their local communities all over the world. 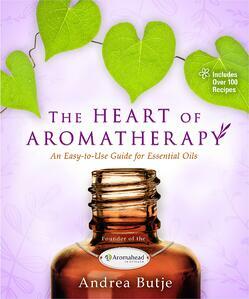 Get a free gift with The Heart of Aromatherapy when you purchase from Aromatics International! "My love of essential oils began after being diagnosed with an autoimmune disease in 2012. Since then, they have become my indispensable helpers in recovering and maintaining my health. I designed this necklace to get more out of my oils - the open pocket design, worn at this length, allows you to benefit from their therapeutic aroma with every breath." 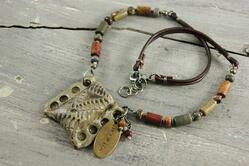 Deb is currently offering free shipping until December 25th on her website and Etsy shop. 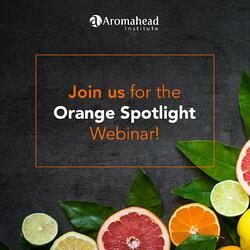 Join us for the Sweet Orange Essential Oil Spotlight Webinar! 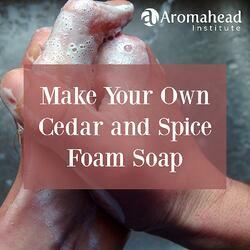 I’ve created an Aromahead webinar class dedicated to Sweet Orange essential oil! But if you can’t make it to the live class at that time, still feel free to sign up—I’m going to record the class for you, and it will live in your Aromahead account, where you’ll have lifetime access to it. We’ll “meet” Sweet Orange essential oil and learn about the role it plays in each recipe, and why the other oils in the blends are included. This is a video recipe showing you how to make incense with Frankincense resin. It’s so simple! Once you know how to do it, you’ll want to make a lot of different varieties. 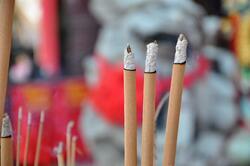 There is something so sweet, earthy, and grounding about making loose incense like this. I have a jar of loose Frankincense resin, and I’m making this blend in a small, beautiful bowl. I don’t actually measure the Frankincense resin itself—I just take a handful and put it in the bowl. Click here to watch the recipe! I wish you love, light, and sweet smelling Aromatherapy recipes for the end of 2017!